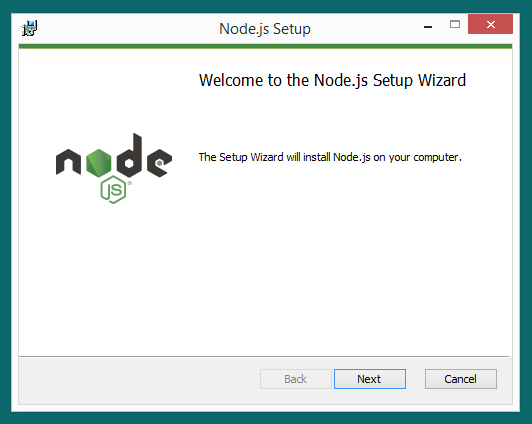 Download Windows installer from Node.js official website. Run the installer by double clicking on it and follow on-screen instructions and your node.js installation will be completed in few minutes. 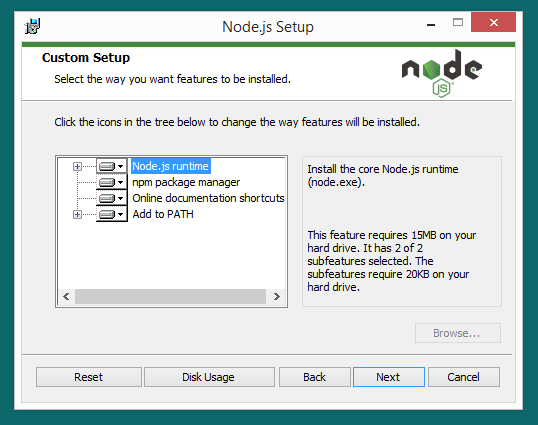 To verify installation of node.js on windows system, Open Windows command prompt and check installed version of nodejs and npm . Node.js new versions comes very frequently. On windows systems update process is pretty straight forward. Just download the newer version of node.js and install on your system. It will overwrite old version of node.js.